With news of the cancellation of the paddle portion of the Tri, here is your updated Participant Guide! Everything you need to know for race weekend all in one place! Please be sure to read all information thoroughly so you are most prepared for race day. Due to the extreme velocity and volume of water flow of the Genesee River, the paddle portion of the triathlon is cancelled. The event will now be a Duathlon (run/bike/run) for everyone. PACKET PICK-UP IS THIS WEEK! Please go to Packet Pickup! Don't wait until day of! Packet pick-up for ALL events will be held at the Fleet Feet Sports Health & Wellness Expo . The Expo will be held at Fleet Feet Sports (155 Culver Road, Rochester, NY 14620). Be sure to check out the great deals on running apparel, accessories, footwear and official marathon merchandise. *Please note that anyone participating in Day 1 (Rochester River Challenge Duathlon) MUST bring photo ID and/or USAT Card to get their packet. Even teams! Also, only the Du participant can get their own packet. Du participants will be given a tyvek bracelet at packet pickup that must be worn through race day. NO EXCEPTIONS! If you are participating in the SMP Rochester River Challenge, please read the following information thoroughly! Show photo id and/or your USAT Card. If you do not show this you cannot get your bib number or race packet. NO exceptions!! This is a USAT rule. Only the participant can get their bib number and packet. Another USAT rule. Non USAT Members will be required to sign a waiver & pay the $15 One Day License fee (if you didn't already when you registered). Another USAT rule. We will place a tyvek wristband on your wrist when you collect your race packet. We will be placing this on your wrist during packet pickup. You must keep it on through race day. Please plan accordingly. This is in place due to a strong recommendation from USAT, the national governing body of multisport events. It ensures that the person picking up the packet is in fact the registrant. No exceptions. 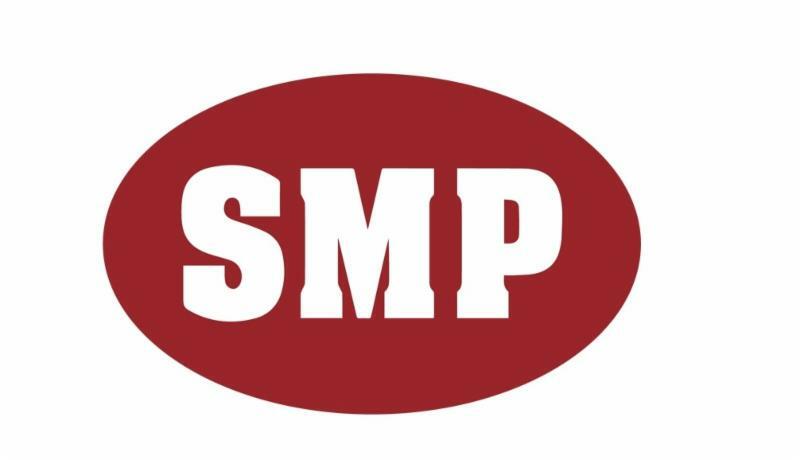 Please click here to read very important information on the SMP Rochester River Challenge, including rules & race day details. This is a pdf printable document. Be sure all team members have read it as well. Please note the bike course/transition exit closes at 10:00 am , any participant not completed with the bike and on the run by 10:00 am will not be able to continue. Your timing chip will be on the back of your bib. YOU MUST MUST MUST WEAR YOUR BIB VISIBLY ON THE FRONT OF YOUR TORSO. We will be using the MyLaps BibTag System. If you lose your bib, forget it, misplace it etc, there is a $5 replacement fee. No chip, no time. You will get the Bib Chip during packet pickup. Be sure to wear your bib chip visibly on your torso, not your shorts, not your back, not your arm, not under a jacket etc. Each member will receive a bib with the team name on it. None of these bibs will have the timing chip attached to it. Your team will also receive ONE bib with the word "TIMING" on it. This timing bib has a timing chip attached to the back and it will be attached to a belt. This belt will first be worn by the runner, then in transition pass it to the biker, when the biker returns they then pass it to the runner in transition. ALL Chip Handoffs must occur inside bike transition - NOT near the entrances or exits of transition. The SMP Rochester River Challenge takes place at Genesee Waterways Center, located at 149 Elmwood Avenue, Rochester, NY 14611. T here is NO participant or spectator parking at the Genesee Waterways Center or across the street from the GWC. All SMP Rochester River Challenge Parking is in the Intercampus Parking Lot at the University of Rochester. For more information on directions to the Genesee Waterways Center and parking, click here. All participants of the SMP Rochester River Challenge will receive a gender-specific, long-sleeve, 1/4 zip technical shirt. Sizes were guaranteed if registered by March 15th. The sizing for participants who registered on March 16th or later will be first come based on when you come to the Expo to pick up your packet. All participants who registered by March 15th will also get their name pre-printed on a custom bib. All finishers will receive a unique finishers medallion as they cross the finish line. 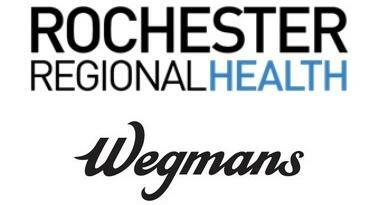 Following the event, there will be post-race food from Salvatores & Wegmans. There will also be a free inflatable for the kids, provided by the Bayview YMCA! There will be an awards ceremony at 10:30 am. This is an approximate time. The actual time will be dependent on when the final results are in. Overall Winners, Age Group Winners & Team Awards will be announced. Awards will only be available on race day until 11:00 am. If you are unable to pick up your award on race day, they will be available for pick-up after the race at Fleet Feet Sports @ The Armory between April 25th - May 9th . Awards cannot be mailed. For more information on the prize levels, please click here . Flash Frame will be at the event to take photos of participants that will be avilable to purchase after the race. 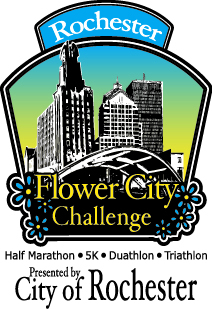 If you are participating in the Rochester Regional Health Flower City Half Marathon or the Wegmans Family 5K, please read the following information thoroughly! Take pride in our city - please keep it clean and do not drop anything on the ground anywhere on the course. Please be courteous, and don't litter. There will be local boy scouts at the Blue Cross Arena following the race to collect your empty water bottles as a fundraiser. Please look for them instead of throwing the bottle away in the trash. The Blue Cross Arena will be open before, during and after the race, which means the restrooms on both levels will be available for use. The Half Marathon Start is in the middle of the bridge on Broad Street.There is construction on the bridge, so please give yourself plenty of time to get to the starting area. The 5K Start is 300' in front of the Half Marathon start. You will have to wait until AFTER the Half Marathon is started, and then you MUST BACK LOAD into the starting corral. The Finish Line is located right outside of the main entrances to the Blue Cross Arena on Exchange Blvd. Your timing chip will be on the back of your bib. YOU MUST MUST MUST WEAR YOUR BIB VISIBLY ON THE FRONT OF YOUR TORSO. We will be using the MyLaps BibTag System. If you lose your bib, forget it, misplace it etc, there is a $5 replacement fee. No chip, no time. You will get the Bib Chip during packet pickup. Be sure to wear your bib chip visibly on your torso, not your shorts, not your back, not your arm, not under a jacket etc. In addition, don't place your water bottle belt over the top of it and be careful hitting stop on your watch as you cross the finish line, as systems have a hard time reading through the human body. Also, no bib no medal for the half marathon! For information on directions to the Blue Cross Arena and parking information, please click here . Wegmans Family 5K Course Map can be found here . Rochester Regional Health Flower City Half Marathon course map can be found here. All participants of the Half Marathon will receive a gender-specific, long-sleeve, 1/4 zip technical shirt. Sizes were guaranteed if registered by March 15th. The sizing for participants who registered on March 16th or later will be first come based on when you come to the Expo to pick up your packet. All participants who registered by March 15th will get their name pre-printed on a custom bib. All Half Marathon finishers with a bib will receive a unique finishers medallion as they cross the finish line. All participants of the 5K will receive a short-sleeve cotton shirt. Sizes were guaranteed if registered by March 15th. The sizing for participants who registered on March 16th or later will be first come based on when you come to the Expo to pick up your packet. Following the event, please join us inside the Blue Cross Arena for our post race celebration. 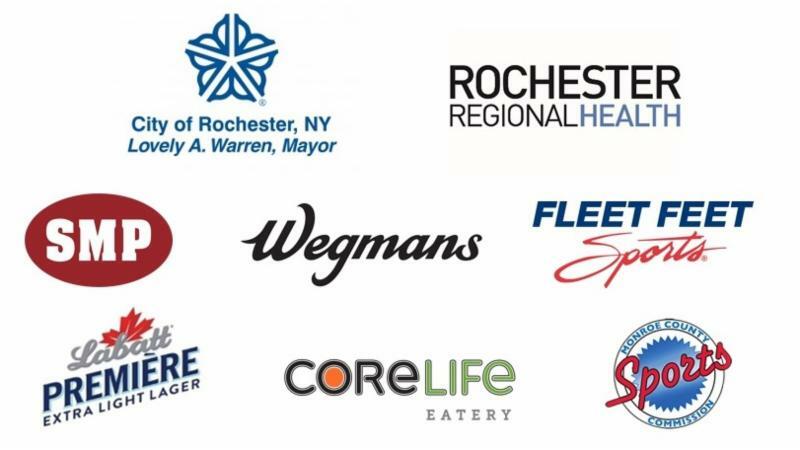 There will be a Post Race Party with plenty of goodies from Wegmans and Salvatores and Beet Lemonade from CoreLife Eatery! All participants (with bib and of age) will receive a complimentary Labatt Premiere Extra Light Lager after you finish! Courtesy of Labatt! There will be a live band playing and a free inflatable for the kids, provided by the Bayview YMCA! Also, be sure to visit the Fleet Feet Sports Recovery Zone! The Fleet Feet Sports Staff and local Massage Therapists and Chiropractors will be onsite inside the Blue Cross Arena. The Fleet Feet Sports Recovery Zone is FREE and a great opportunity for a post race massage. Flash Frame will be at the 5K & Half Marathon to take photos of participants that will be available to purchase after the race. There is a 3 1/2 hour course limit for the Half Marathon (a 16:19 mile). If you are not keeping up to pace, you will be allowed to stay on the course, but may be asked to move to the side of the road or sidewalk, so traffic can resume. At this point, the course will no longer be supported by traffic control, Road Marshals, Water Stops or finish line. So please be sure to plan accordingly. The finish line will close at 11:00 am sharp. There are 6 Aid Stations approximately 2 miles apart. Aid Stations will have water and Gu Hydration Drink (no hydration drink at Water Stop #1). Pace groups led by experienced pacers for a variety of times will be provided by Fleet Feet Sports. Run with experiences runners on a steady pace and meet your time goal. There is no need to sign up. Just look for the sign for the time you'd like to finish at the starting line. The Pacers will also be wearing Fleet Feet Sports Pace Leader shirts. There will not be an awards ceremony on race day. Overall Winners & Age Group Winners can stop at the awards table once results have been posted to claim your award. Awards will only be available on race day until 11:00 am. Awards will also be available for pick-up after the race at Fleet Feet Sports @ The Armory between April 25th - May 9th. Awards will not be mailed. For more information on the prize levels, please click here . We will be holding our annual Neighborhood "Spirit Contest" during the Half Marathon. The top two "most spirited" neighborhoods will win $750 & $500 for 1st and 2nd place. Monies will go towards a beautification project in that neighborhood. Last year's winners were the Highland Park and Susan B Anthony Neighborhoods. The course has been split into 6 Zones where each zone has a leader from that neighborhood to get the neighborhood together to show support and spirit to the runners. After the Half Marathon, we will be sending a survey to participants for you all to vote on who had the most spirit! Zone 1 (Mile 1ish): Susan B Anthony Neighborhood from Canal Street @ West main through Madison Street. Zone 2 (Mile 3-4 ish): East Avenue Neighborhood from East @ Alexander to East @ Brunswick. Zone 3 (Mile 4.5 - 5.5ish): Park Ave Neighborhood from Park @ Argyle to Park @ Goodman. Zone 4 (Mile 6.5ish): Swillburg Neighborhood from Goodman @ Pearl Street to Goodman at S. Clinton (at the Cinema). Zone 5 (Mile 7ish): Highland Park Neighborhood from S. Goodman @ Crawford to the tip top of the hill at Pinetum before they turn down Doctors. Zone 6 (Mile 10-11ish): The river path along Wilson Blvd at U of R. Starting from Elmwood to the old RR Track past the Track. There will be some road closures & delays the morning of the race. We appreciate the efforts of the Rochester Police Department, who along with volunteer road marshals will do their very best to lessen the impact to the community while keeping the runners and walkers out of harm's way. Click here for the traffic advisory . Get the Kids in on the fun with our Kids Races! There will be a 1/4 mile option (6 yrs & under) and a 1/2 & 1 mile option (for 12 yrs & under). Only one race per person. Registration is $10.00 pre-registered or $12.00 on the day of the race for the 1/2 mile or 1 mile option (1/4 Mile race is FREE). As always, our 1/4 mile race for kids 6 & under is free. Finisher medals will be awarded.